Welcome to the internet home of the Swindon Symphony Orchestra. This site is dedicated to providing you with the latest information concerning the orchestra. What a fantastic concert last night! Thank you all for coming to hear the very talented Harry Cunningham (Tuba) and it was such a privilege and delight to be able to perform The Coming of Peace for the second time with the composer, Roger May, present. In rehearsal for tonight's concert with the amazing Harry Cunningham on Tuba. We also have the talented Kate Southall of Copper and Blossom Photography taking some shots of the rehearsal and this evening's concert. Don’t miss out on such a lovely programme. Tickets in advance are available here. This gorgeous Vaughan Williams Tuba Concerto will be performed at our concert on Sunday by soloist, Harry Cunningham who is principal tuba of the Black Dyke Band. 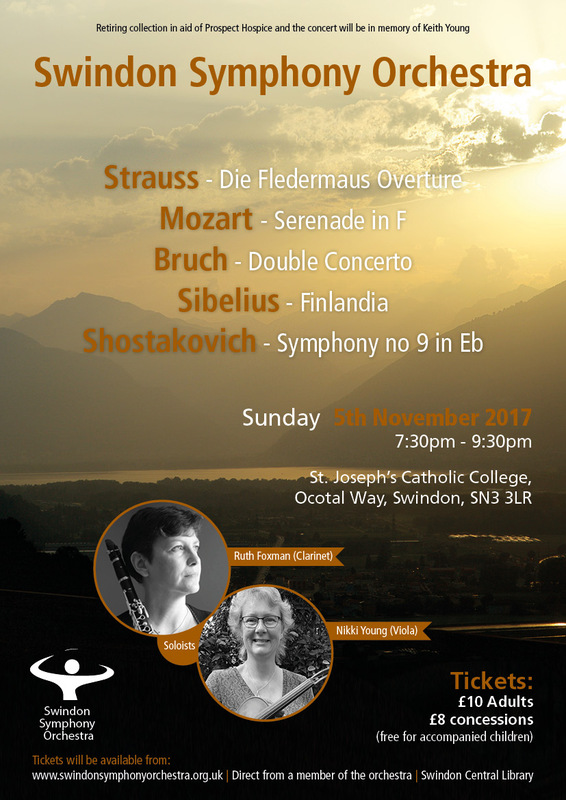 Spend this Sunday evening with Swindon Symphony Orchestra. Humperdinck, Brahms and Tchaikovsky on the menu. @Maestromalc Looking forward to it! We hope you find this resource useful. If you have any comments about the site, or wish to know more about the orchestra, you can 'Contact Us'.